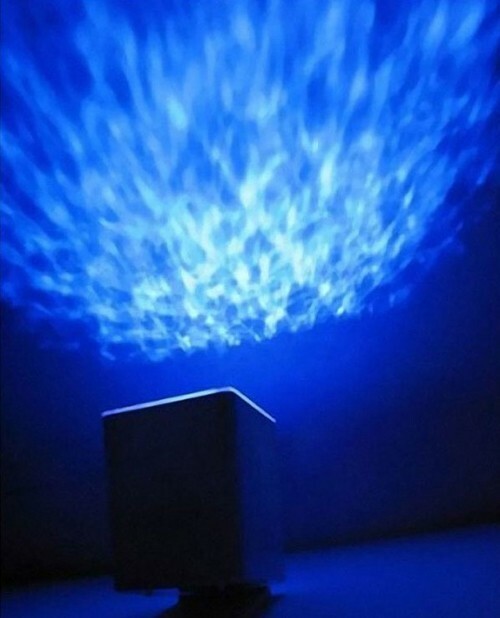 A commenter let me know that my 2007 and 2008 Sensory Room on the Cheap posts were out of date, so I thought I would give it another go. Before you go crazy buying or making things for a sensory space please consider carefully things like how much space you have, how sturdy/unbreakable things need to be for your students and what will the purpose of your sensory space be? 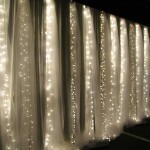 If your students need help being alert and interactive a soothing white room with soft glowing lights may not be the best idea and a room with expensive lights and decor may not be a great idea for a student who needs to "get his wiggles out". Think about your purpose before you purchase! Consider a theme to unify the room or space so it doesn't look thrown together - "The Ocean", "Beach" and "Space" might all work well! I should also mention that the American Academy of Pediatrics and others have warned that Sensory Integration Therapy does not (yet) have a research base behind it. Multisensory Enviroments (aka Snozelen Spaces) also do not have a preponderance of evidence behind them (this is because most of the research is done by those who create and sell the systems). That being said creating an engaging, soothing or otherwise specialized space for your students at school or your child at home can be rewarding. It is up to the teacher (or parent or therapist) to collect baseline and intervention related data to determine if the space is helpful. Shaping, simply put, is rewarding the small steps that lead to a large success. Also known as "rewarding successive approximations" I call it, "Close enough is good enough, for now." By which I mean that if we reward a first time step towards meeting a goal and then each tiny step closer we will eventually get there. Shaping is baby steps. In the case of yes/no this starts with something known as "best yes". A "best yes" is any response our student with complex communication needs gives us that indicates affirmation. A slight head movement, a smile, clapping hands, stopping a rocking motion or a change in affect any of these is a best yes - and it is ok, at first, to accept any one of these from the same child. 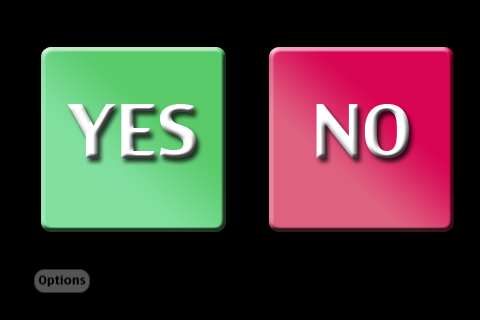 With careful observation (including video, if needed) and data collection we can determine which "best yes" we can shape into a consistent "yes" response. We want our vision of the consistent "yes" to be something noticeable and clearly understandable by all who interact with the individual regularly. For some children we may need to accept that the "best yes" and "close enough is good enough" is how things will be for a while and reaching a consistent yes might take years and years. We may wonder or have to respond to others wondering if the "best yes" we are accepting is "intentional" on the part of the child. The thing about a "best yes" is that intention is irrelevant. We teach intentionality by assuming intentionality. Repeat it with me, "We teach intentionality by assuming intentionality." We are not delusional or Pollyannas when we act like that slight and inconsistent response is a "yes" - we are teaching! 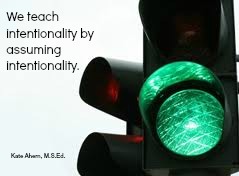 Make a banner and hang it across your classroom if you must, "We teach intentionality by assuming intentionality!" When we reward that "best yes" we teach the child that repeating that "best yes" will lead to a reward. We teach intentionality by assuming intentionality. By combining our observed "best yes" and our vision for a consistent "yes" we can create a plan in which we reward the "best yes" we want to shape until it is consistent. This means offering highly motivating rewards and waiting for the "best yes" before giving the reward. Once the "best yes" is consistent we up the ante. We model the next successive approximation, offer a highly motivating reward and give the reward when the child gives us the new and improved, consistent "yes". This might mean we initially give the reward for a slight drop of the chin (working towards a nod) and once that is consistent we give the reward for a deeper drop of the chin. Then we repeat with the next approximation until we have achieved our vision of a consistent, noticeable and understandable "yes". (Which might mean the next approximation is a deeper chin drop and then a slight lift of the head and then a deep chin drop and a full lift of the head.) We may have to have different expectations at different times - a slight smile is ok after a severe seizure or surgery but on a good day we expect a smile and a nod. Shaping must be used with all of the other teaching tools in our tool boxes. With students who have severe, complex or multiple needs one method is usually not enough for success! this Kindergarten favorite has the adults in David's life telling him, "No!" to all of the impulsive things he does and is a great way to get all the kids calling out "NO!" whatever way they happen to do that! the best day of the year, when every question is answered with "Yes!" Yaul only like to say, "No!" until his friends help him learn to try "Yes!" This game is all about being silly! You can play it to work on accept/reject yes/no responses or higher level. Essentially you go something super silly, like try to put on the child's coat yourself, put the child's sock on their hand or whatever the child will know is absurd. Then you ask, "Do you want me it this way?" or "Do you like it this way?". 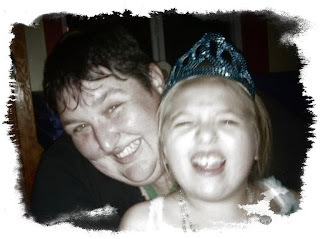 Keep in mind that the child may, indeed, want it that way, because being silly is fun. So if he says "yes" to the sock on his hand keep it up and put the other sock on his other hand. Create a build up and keep asking yes or no questions. When it is time to stop, if the answer is still, "yes", then you say, "Oh, I am so silly! No (model how the child says no)! It doesn't go like this!" If the child is working on higher level yes/no you can ask, "Do socks go on hands?" and other higher order questions. Prepare a list of yes/no questions at the level your students are working on or use yes/no question cards (see list below). Decide if the student will compete individually or in teams. Create a scoreboard with student names or team names. Be sure each child has access to their best way of expression yes/no. Using your list or cards ask each question one by one. After each question be sure to wait up to a minute. You can either play that the first correct answer wins a point or every correct answer wins a point. I find this game works better if you have everyone answer at once (thus none of the students refuses to answer just for the attention given when they don't). Whoever has most points at the end wins a prize! Gather a set of object or pictures. These can be related to the theme unit you are teaching (insects, planets or be common objects from around the room). Choose a child to be "it' and take him or her into the hall (or aside) and all the child to choose one thing. Go back to the group and display all the items or pictures, including the chosen one. The child who is "it" will need his or her best way to answer yes/no. The other children will need a means to ask questions that eliminate items from the array in front of them. As always speech or AAC can be used for the answering and the asking. You may need to have questions for your particular set of objects ready on communication devices/boards/switches ahead of time. As questions are asked and answered eliminate choices until someone guess correctly or one one choice is left. 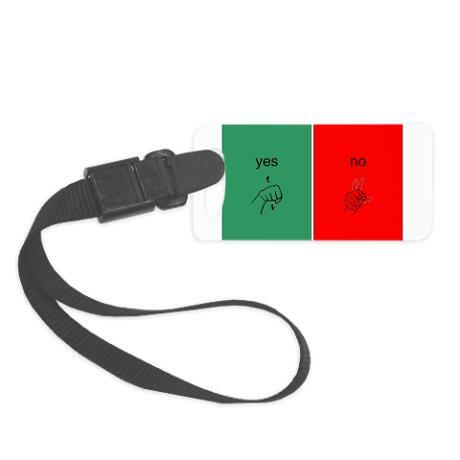 You can also play this with the commercial game Hed Banz, adapt the game by only having one person at a time where a Hed Banz and the others take turns answering yes/no questions of the wearer. 20Q is a commercial game it is available as a handheld electronic game, an app or online (for free). For our purposes an older version of the handheld game (yard sales, flea markets, your basement) is better, but you can adapt if needed to the newer version. 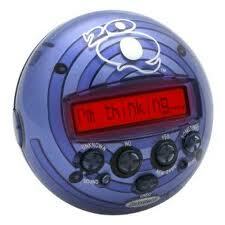 20Q operates just like the 20 Questions game most of us have played only the game does all the figuring out. The old version asks questions and gives you three possible responses "yes", "no, "it depends". The newer version has up to ten possible answers, "yes", "no", "it depends", "unknown", "irrelevant", "sometimes", "maybe", "probably", "rarely", "partly". Personally, I think that the new 20Q cheats! However you can still use it by only answering "yes", "no" and "it depends". If your students aren't ready for "it depends" you can ask them yes or no and change it to "it depends" when you enter the answer into the game. You can also rephrase questions like "Is it an abstract concept?" or just answer those yourself without reading them aloud. So long as all the students have a means of communication "yes" and "no" this game is a fun way to practice. This is a fun game to include in your morning meeting group. You can use a portable white board and simply write the question with a drawing and two columns or you can make your Question of the Day board all fancy. If your students are at the accept/reject level of yes/no you can make a list of 10-15 accept reject questions and cycle through them over and over. These could be things like, "Do you want the teacher to sing really loud? ", "Do you want a high five? ", "Do you want the paraprofessional to spin in circle ten times? ", "Do you want my to give you a 3 second shoulder rub?" Then go around the room and ask each child and perform the action if he or she says yes. 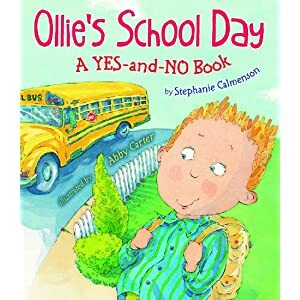 Tally each child (or put a picture of each child) under yes or no on your display. Overtime you can draw comparisons, "Last time 2 students wanted me to sing, how many this time?" then you can bring in counting if you would like. If your students are a higher level you can ask more abstract questions, "Are you wearing boots?" or "Is a fish an insect?" and then tally and graph responses. It is vital to model the way you want your students to communicate yes and no throughout the songs. Perhaps a turn for each child with specific modeling of their way of communicating yes and no. Remember you can download the music from videos using this site. There is so much more in the world to say than yes/no, yet it is still a vital skill, especially in fast moving situations and medical situations. We often times see goals on IEPs for learners with severe special needs about yes/no and I will be the first to admit I have done this poorly in the past. Like many people I had a tendency to believe that if we just practiced enough we would eventually successfully teach yes/no. Thus many of my students sat through daily "drill" in which they were asked ten yes or no questions and were given positive reinforcement or rewards when they were correct. Not surprisingly this wasn't effective for many of them. 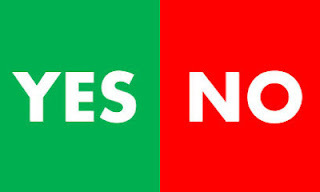 First we must understand not all yes/no questions are created equally. "Do you want a cookie?" is far from "Was Washington the third president?". Think about "Do you want to go home?" versus "You do want to go home, don't you?" All of these questions are yes/no questions. Anyone of these could be tossed out in a yes/no drill. Yet they presume different cognitive and language skills and different types of motivation. Accept/reject "Do you want your blanket?" Choice "How about the blue one?" Possession "Is this your coat?" Preference "Do you like the red one?" Label "Is this a table?" Function of objects "Does a vacuum walk?" Test knowledge "Is it facing north?" Comparison "Is a dog older than a puppy?" Relative time "Did that happen first?" Preference "Do you like apples?" Rhetorical question "How 'bout them apples?" For our learners we start by focusing on accept/reject. We need to avoid the other kinds of yes/no until we are sure that the student understands that yes is accept and no is reject. Then we will work on different types of yes/no questions. teacher: "Do you want milk or no?" teacher: "Would you like the purple one or no?" We must be careful in doing this type of accept/reject question that we do not assume that we know what the child wants. A child might love soda, so you ask, "Do you want soda?" and the child communicates "no". A "no" is a "no". Perhaps the child already had plenty of soda, or perhaps he or she has a sore throat, or perhaps his parent told him "don't you have soda today!". Or maybe the child doesn't yet understand yes/no. If that is the case modeling that no means you rejected the thing that was offered by taking away/no giving soda is essential. If the student becomes upset because they wanted soda you can wait a minute and offer again, "Do you want soda? Yes." This time you answer your own question both verbally and by modeling the yes response. This give a cue to the child that the answer is yes. You already established that they want the soda (the complaining when you took it away after they said no) so you can teach the yes response by modeling it. Another thing to be careful is the tendency to for adults to use their words just to fill space. How often do you hear, "Yes or no? Do you want the ball? Yes or no? The ball? Tell me yes or no?" Imagine how confusing that is if the child doesn't understand the concept yes and no. Imagine how confusing it is if the child has language processing issues and that is just too many words. So many of our students just choose what ever comes last and this is one of the ways we unintentionally teach them to do that. We teach them that if they wait for us to pause and repeat whatever the last thing we said/did was they will be rewarded. Sometimes our students will even answer with "yes or no" or even by parroting "tell me yes or no". A key to teaching anything is wait time. 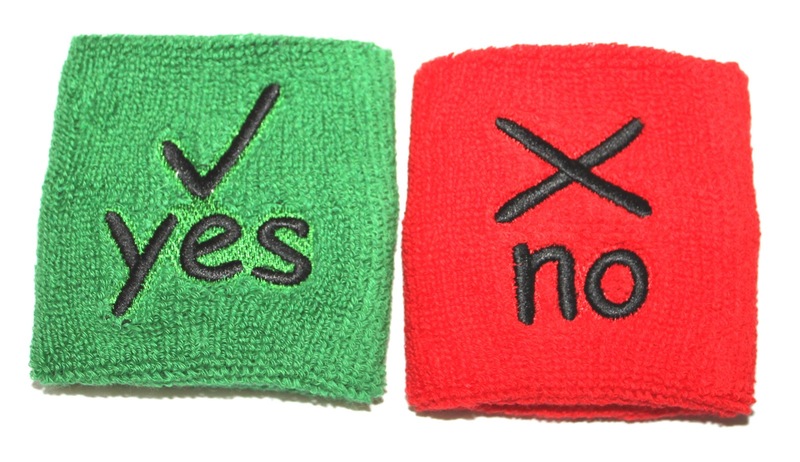 And a key to teaching yes/no is refraining from using the phrase, "Tell me yes or no." Another important part of teaching this type of yes/no is by having all those in the environment model it; aides, parents, peers. We should model it verbally and in the same means that our student should express it. The more we explicitly show how yes/no work the faster our student will learn. Or any combination of a yes and a no from above!